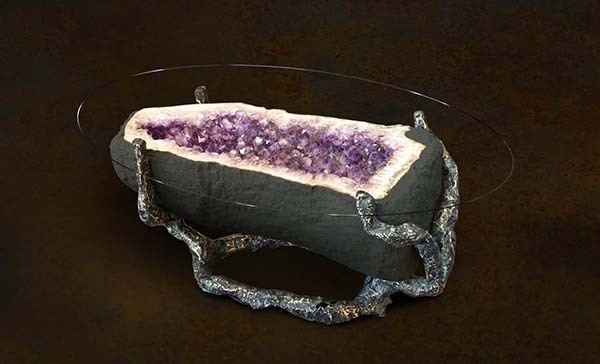 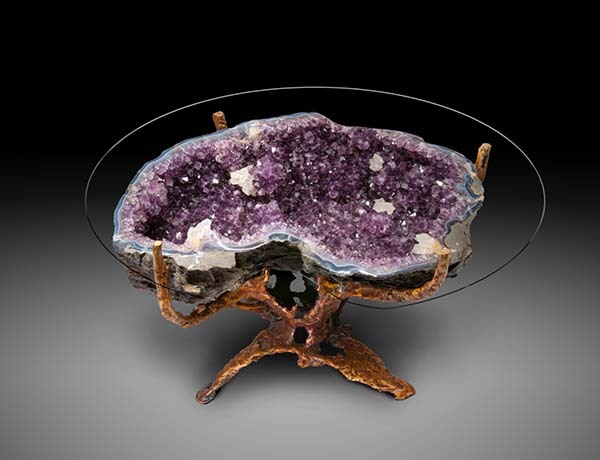 Peering below the glass of a custom sculpted amethyst geode table is like exploring the beauty of a tropical reef in a glass bottom boat. 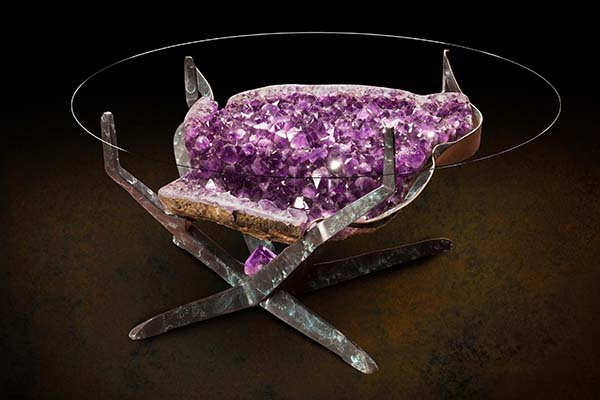 The main difference being that you can visually explore the beauty of the amethyst whenever you sit down at it. 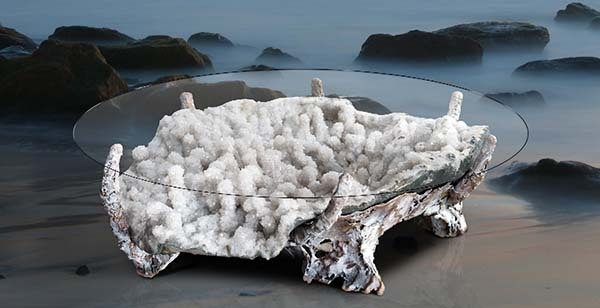 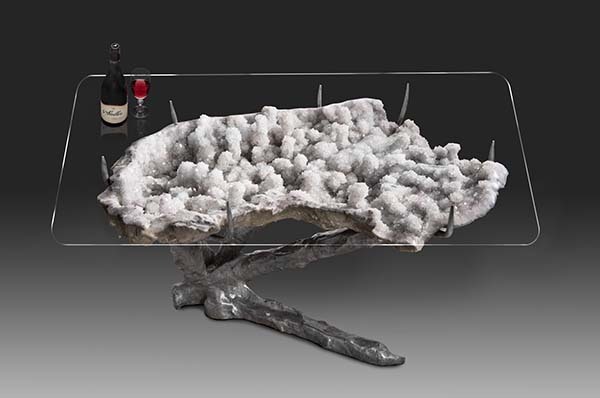 Each table is a functional sculpture that centers around a uniquely formed natural geode in a setting of bronze and glass. 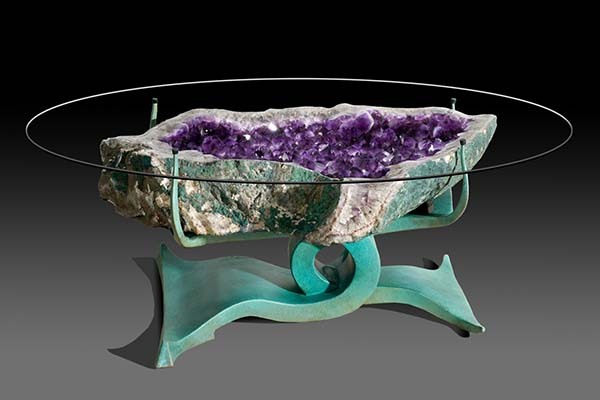 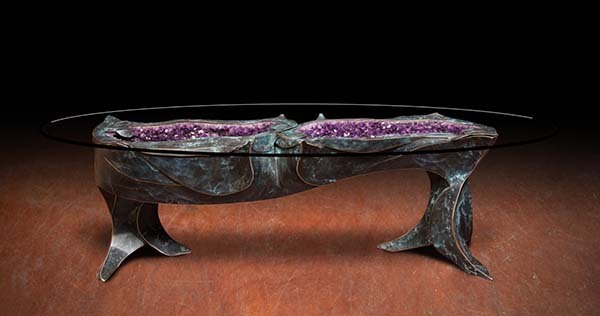 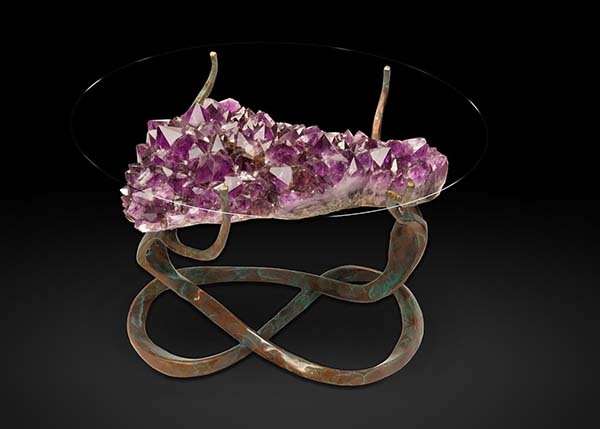 Please contact us if you have any questions about creating a custom geode table.